If you haven’t noticed it already, Facebook has a wonderful button in the top right corner of the admin panel called “Insights”. This button allows you to thoroughly analyze what type of engagement is working for your page and what isn’t. Knowing how to analyze the data provided in this tab could potentially boost the amount of traffic you get to your page, as well as increase your page likes. When you click on the insights tab it takes you to an overview page. On this page you can see how well your engagement is doing compared to the previous week. The overview is great for a quick look at your page activity, but the “Posts” link is where the real magic happens! 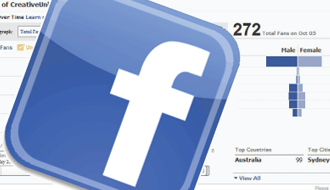 Here, you can see every post on your wall and how much engagement each one is getting. If you click on a post, a details box will pop up. This box tells you how many likes, comments, and shares the post has. It also tells you how many likes and comments it received on shared pages as well. If you look at all your posts you can usually start to see a trend in which ones are getting more engagement and which ones are are not. From here you can start to figure out what your followers enjoy. Follow the engagement trend and post things that you know they’ll like. Also on the posts tab is a wonderful graph that shows when your fans are online. Try to post at high traffic times so that more people see your content. A good rule is to post at least 3-4 times a day to keep fans engaged with your page. 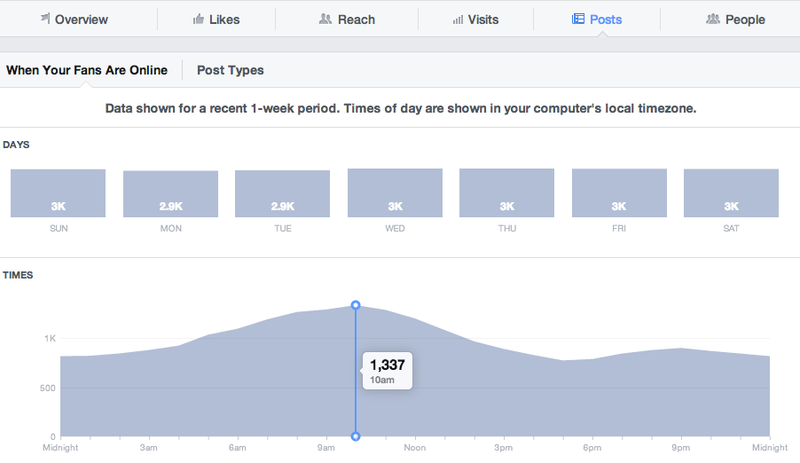 The Facebook Insights tab is a wonderful tool if you know how to use it. Remember to look at what posts are getting the most engagement and follow that trend by posting similar content. Make sure your content is seen by posting at times when the majority of your fans are online. If you haven’t already, go check out the Insights tab and see how your page is doing. There’s a lot to learn.